A record 113 runners break the 15 minute mark in the men’s 5k as 49 women go sub 10 minutes over 3k. 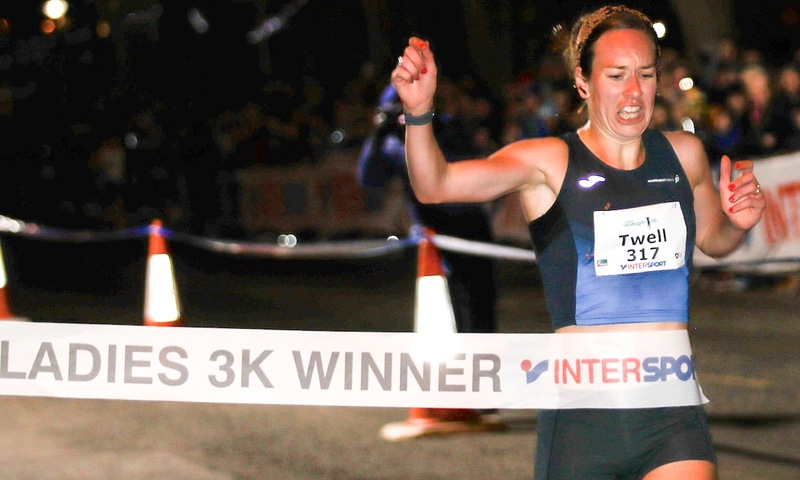 Steph Twell clocked a course record equalling 8:59 to clinch victory in the Intersports women’s 3k race, while Finnish athlete Topi Raitanen ran a blistering 13:43 to break the Brooks men’s 5k course record. 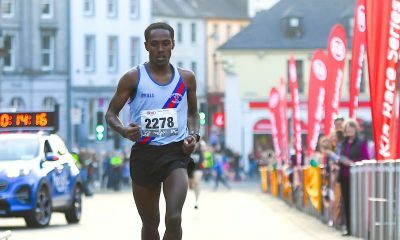 Both athletes took the top honours in an excellent night of racing, but there was lightning fast running across the board at the 29th edition of Armagh International Road Races on Thursday night (February 14). 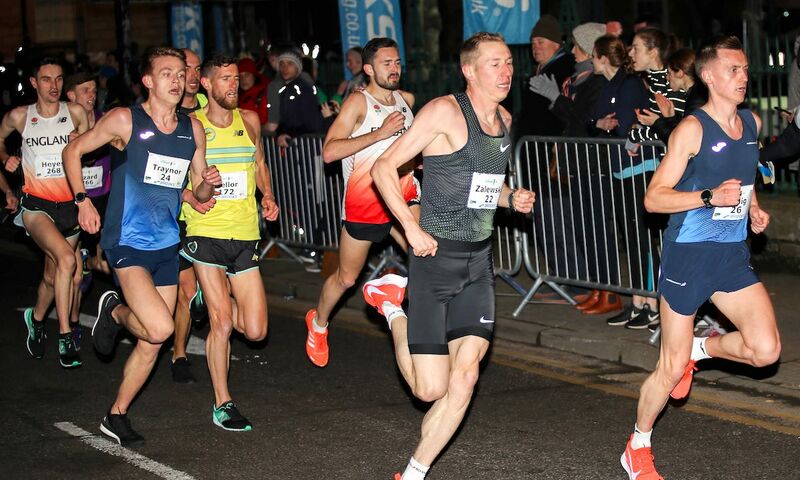 Some of the standout stats of the night include a record 49 women breaking 10 minutes for 3k, 10 men broke the previous course 5k course record of 13:54, 12 men went sub 14 minutes, and an astonishing 113 run inside 15 minutes to smash the previous best in Armagh. In the women’s 3k race, Twell, 2018 runner-up Jess Judd and Amy Griffiths took the front of the field early on around the lapped Armagh Mall course. As the race went into the closing stages on the final lap it was reigning British 5000m champion who pulled away to clinch the win in 8:59, finishing six seconds ahead of Judd who crossed the line in 9:05. Twell winning time equalled the course record set by two-time winner Laura Weightman in 2017. Amy Griffiths improved on her fourth place from 2018 to complete the podium in 9:10, with Kate Avery fourth in 9:11 and Lauren Heyes fifth in a time of 9:16. Crossing the line in sixth place was Claire Duck in 9:18 ahead of Kerry MacAngus (9:23), Emma Mitchell (9:24) and Hayley Carruthers (9:26), while Beth Kidger completed the top 10 in 9:26. 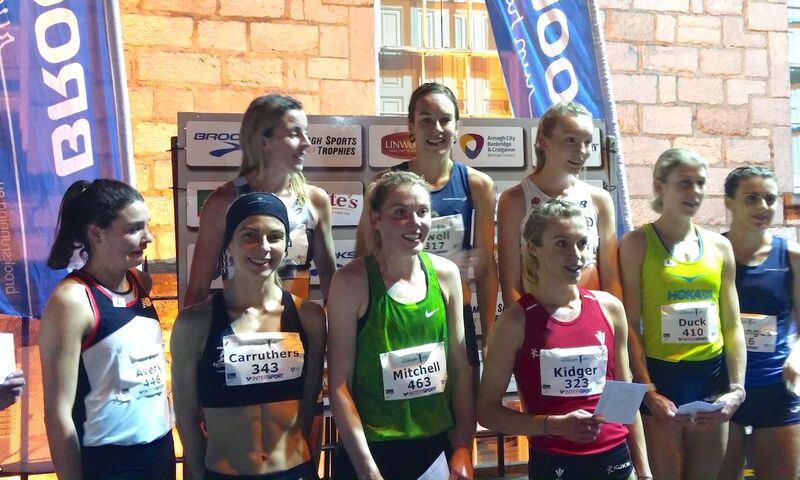 Elsewhere, Armagh AC’s Fionnuala Ross, who is a member of the Fast 10: class of 2019, finished 15th in 9:29. Taking the club team title was Leeds City thanks to Duck in sixth, Brownwen Owen in 16th and Jennifer Walsh in 19th. 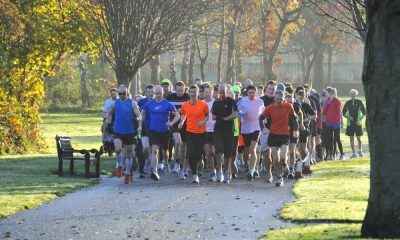 Highgate Harriers were the second placed club ahead of North Down AC, while Scotland took the international team honours. Following the excitement of the women’s main event, it was time for the men to take to the start line in Armagh. Following a fast first lap, Poland’s Krystian Zalewski and Scottish duo Adam Craig and Luke Traynor were at the front of the tightly packed lead group at the end of the second lap. As the race progressed it was anyone’s guess who would take the honours from about a large group that included 2018 champion Sam Stabler, Jonny Mellor, Andrew Heyes and Finland’s Raitanen to name a few. At the bell for the final lap, it was Mellor, Craig and Raitanen who had a small lead on the rest of the field. In the final stages, it was the strong finishing Finn who clinched the victory in a course record breaking 13:43 and led home a plethora of personal best performances. Raitanen’s winning time took 11 seconds off American David Nightingale’s 2009 course record. 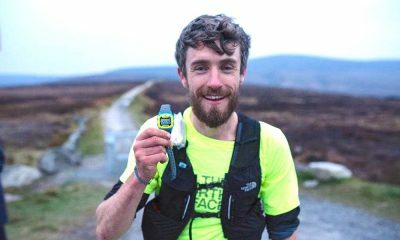 Taking the runner-up spot was Craig in a time of 13:45 ahead of defending champion Stabler who was also awarded 13:45. Mellor was also among the PB performances and clocked 13:46 to finish fourth. Representing England Heyes finished fifth in 13:48 – a nice Valentines moment for newlywed Andrew and Lauren Heyes as both athletes finishing fifth in their respective races. Philip Sesemann was next across the furious finish line in 13:50, Graham Rush clocked 13:51 in seventh, while Jack Gray bagged eighth in 13:52. Completing the men to break the previous course record Nigel ‘Big Nige’ Martin in 13:53 and Kieran Clements in 13:53. 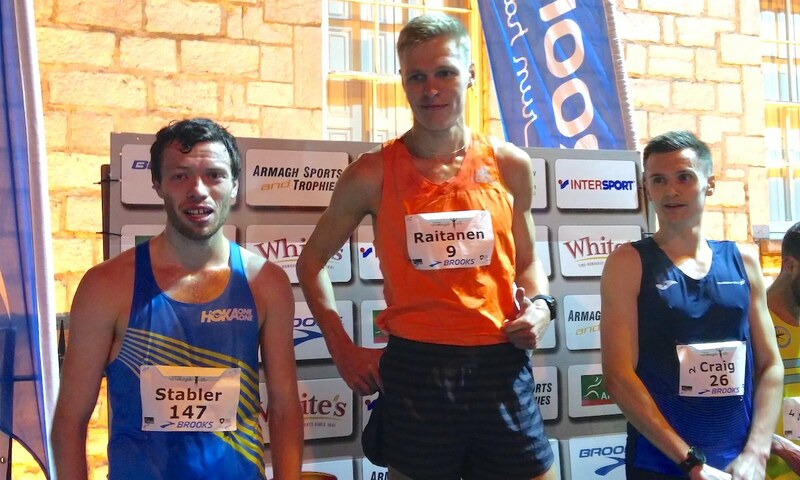 Also going sub 14 minutes was Polish athlete Zalewski and Matt Bergin representing Ireland in 13:59. Elsewhere, Kevin Dooney finished 16th in 14:08, while Luke Traynor was 19th across the finish line in 14:14. 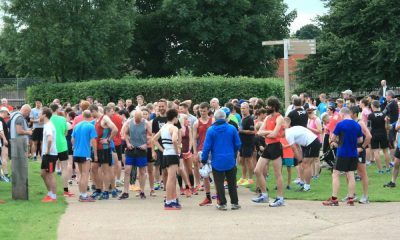 The final two of 113 men to break 15 minutes in 14:59 were Salford Harriers Marc Brown and North Down’s Craig McMeechan. Among other notable performances, 15 year-old Ethan Hussey ran 14:29 to equal the under-17 UK all-time record – set by John Nuttall in 1984 – and Shane Healy clocked 15:20 to set an Irish over-50 record. 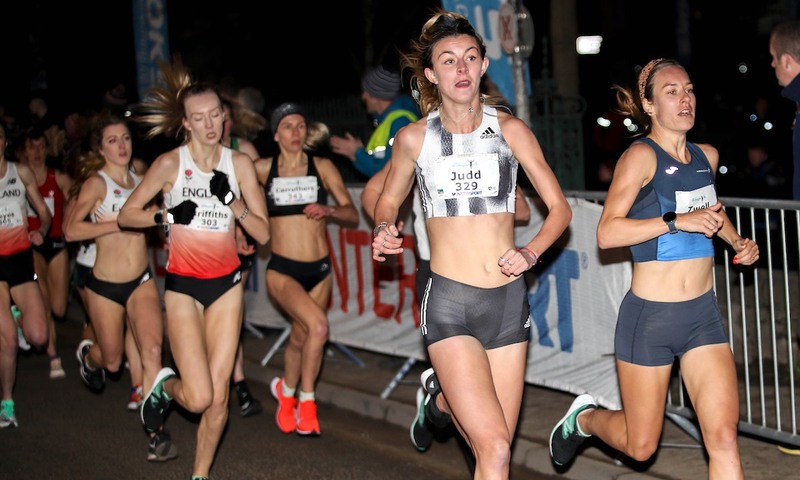 Leeds City’s Sesemann and Rush led the club to the team title ahead of Clonliffe Harriers AC and Liverpool Harriers in third place, while England claimed the international team honours. 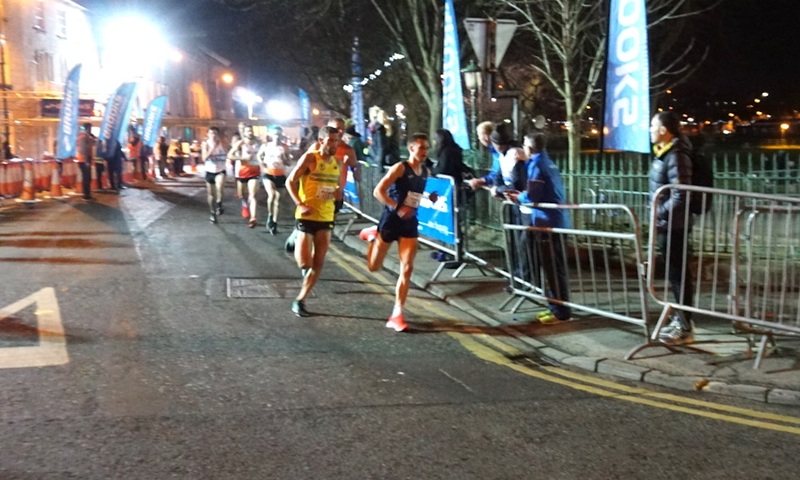 The final race of the night was the men’s open 3k and the race victory went to Scottish runner Jamie Burns in 08:44 ahead of Northern Irish duo Jack O’Farrell in 8:47 and Conall McClean in 8:47. Former GB international James Thie finished fourth in 8:50. The full results from the Armagh International Road Races can be found here.